They looked as if they would be easy to put on. I'm hoping they are easy to put on, plus keep my feet cooler than full socks. I like the open toe and price is fairly good. I like them, they are very comfortable to wear! For one thing, love the color. 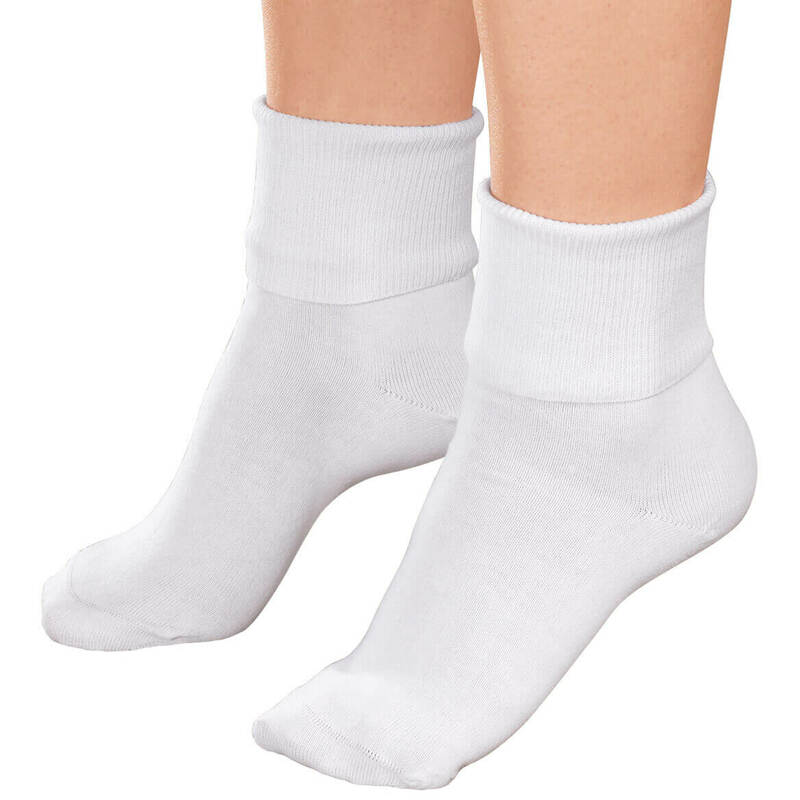 Need compression socks but do not like the ones that cover my feet. I thought I might try these hose where I can sandals, etc. For use with ankle sleeves for exercising. My ankles are weak and I get shin splits and sore calves easily. 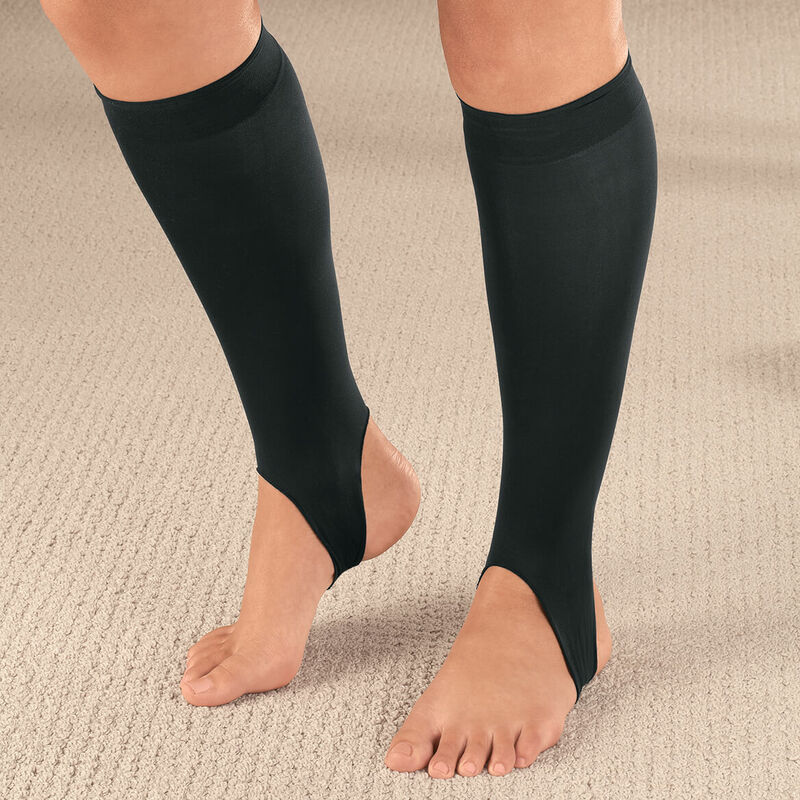 Compression removes the pain and stops nighttime cramping. I wear compression socks, and I like the fact I don;t have to cover my feet. Socks with toes are too difficult to put on. They look like what I will really like, current ones slide up on my feet. I need to wear support hose but have trouble with my toes so am hoping the stirrup hose will help me. Hoping that my mom can use these. Full compression hose cover her toes and that bothers her a lot. Maybe these will suit her needs. Price was low enough to try 2 pair and find out how they will work for her. I wanted compression socks to wear with open toed shoes. I live in California and do not own many closed toed shoes. Need to try for support of legs. Want to try the stirrup style. they are hard to find and summer is on it's way. This product helps with the heat. My left leg swells and the Dr says I need compression socks. I’ve seen them in your magazine that my mom gets so I’m going to give you guys a try. Toes of compression stockings wear out before the leggings part, and i can wear these under or over ankle socks. I do wear knee high compression socks already. During the hot summers, I really have to talk myself into wearing them since they limit what type shoes to wear; ie, sandals. I'm hoping these will be comfortable enough to encourage me to wear compression socks more frequently like I should. Husband likes this style while driving when we travel. 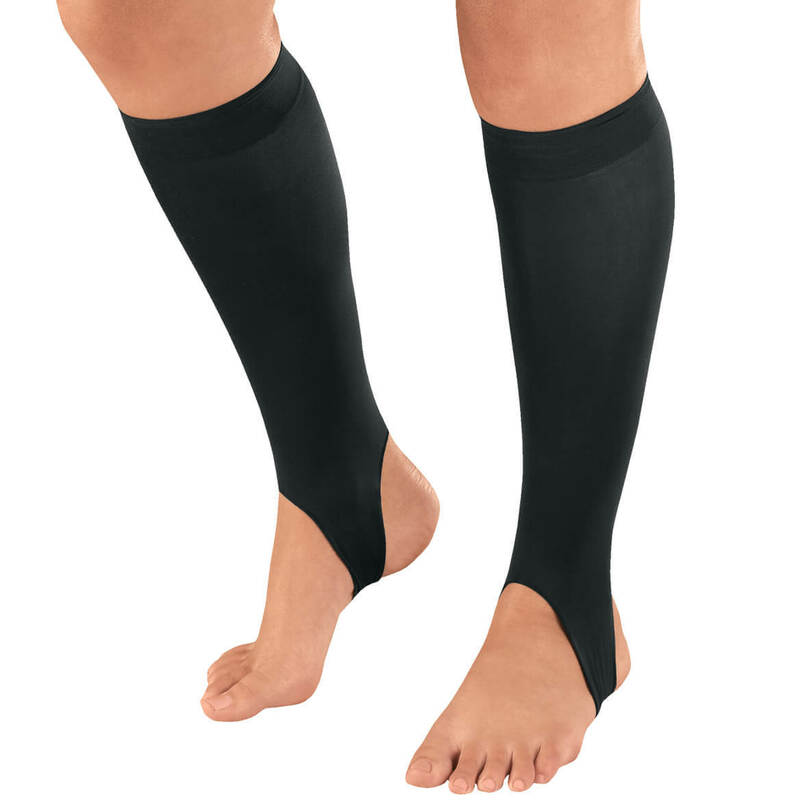 Wanting to try out stirrup version of compression hose. Because I have to wear them all the time . so i picked this pair to see how they work. Need my toes to be free. I don"t like close in shoes so this will work great. Hopefully these will fit and still leave my feet uncovered or put socks on. Varicose veins in right leg. Lots of pain. Hope it helps. I like the open toe effect. My mom has poor circulation in her legs, wanted to help her. My husband needed this type of sock after varicose vein surgery. Is this 1 stocking for $9.99 or 2 stockings(1 pair)? BEST ANSWER: Thank you for your question. The Stirrups come as a pair. We hope this information will be of help to you. Thanks to all who answered. I ordered anyway but now I know, before they get here, that I will be happy with them. It's one pair for $9.99. They are very comfortable. Mine came as a pair (2 stockings). Sorry, I di dot buy stirrups. BEST ANSWER: Thank you for your question. 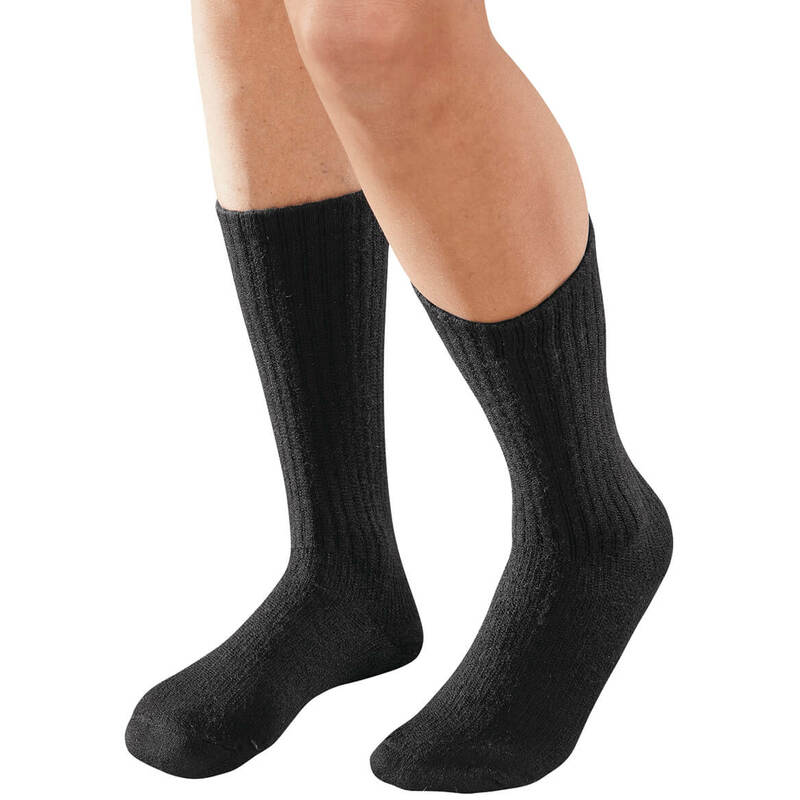 The Light Compression Stirrup Knee Highs are 75% nylon and 25% spandex. We hope this information will be of help to you. They are nylon. I'm very pleased with the way they fit and feel. They also wash very well. I am getting ready to buy another pair. they are a nylon. they do not have a lot of compression but I like them. 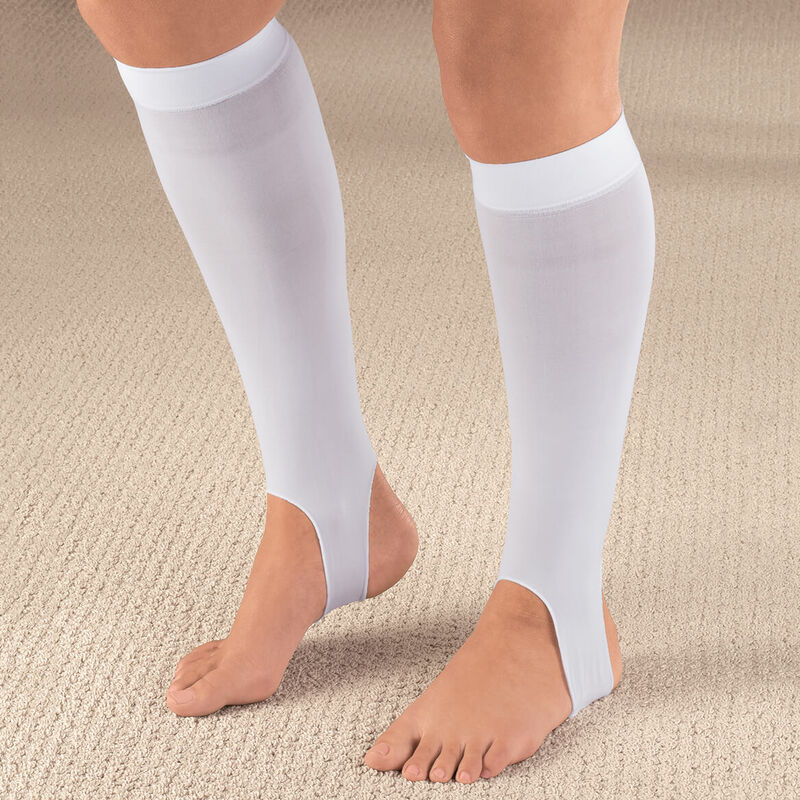 What is the amount of compression in these stirrup stockings? BEST ANSWER: Thank you for your question. The light compression stirrups have a compression rating for 8-12mmHg. We hope this information will be of help to you. What shoe and leg size are the choices? BEST ANSWER: Thank you for your question. The size is based on the thickness of your calf. 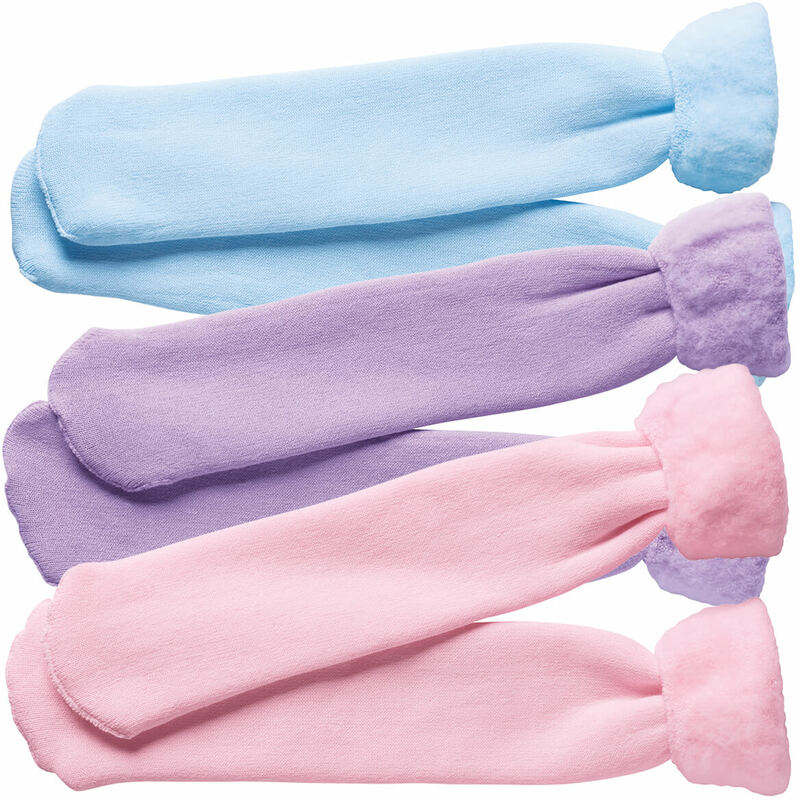 Medium fits calves 13"-16"; Large fits calves 17"-20". We hope this information will be of help to you. what size calf do these fit, as I can't use a them. tight? BEST ANSWER: Thank you for your question. The Medium fits calves 13"-16" and the large fits calves 17"-20". We hope this information will be of help to you.